The God of War review scores are in and Sony may well have a Game of the Generation contender on its hands. 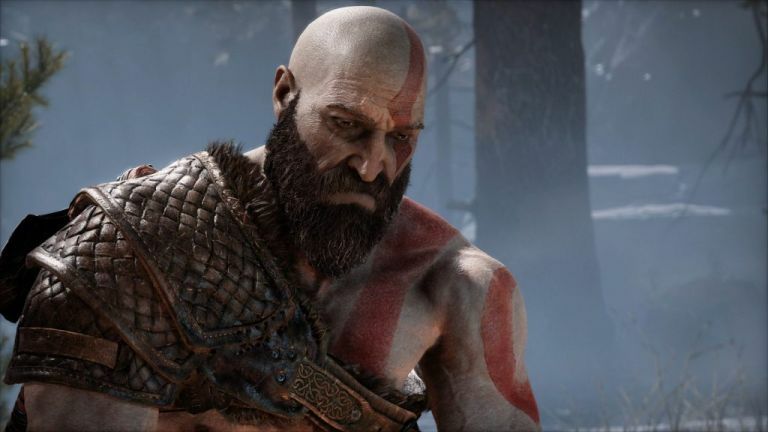 Kratos' transition from God of War to Dad of War sees the series evolve into something really rather special after he tore through ancient Greece and Olympus all those years ago. Not that he's going to give his new Norse neighbours an easy time of it. However, tremendous hype, now coupled with excellent review scores, are not ideal for bargain hunters. Plus, it's a first-party exclusive, which keeps prices relatively high at launch. Not to worry, though, as we're here to help you track down the latest and cheapest prices for God of War on PS4. Since the first reviews dropped, we were struggling to find any pre-order deals for God of War under £45 (never mind the usual £40!) ahead of the April 20th release date. UK toy specialists Smyths Toys has broken ranks, though, and currently has the best UK price by some distance at £40.99. In all honesty, we don't see this being beaten before launch. This is usually £45.99, but Smyths is running a promotion where you can save £5 by pre-ordering God of War from its website for either home delivery or in-store pickup - both options are free. The £5 discount is applied during the checkout process. If you'd prefer a different retailer, the following alternatives are available, although they'll cost you more. But hey, if you have some points or gift cards to spend, that might not matter for you. How much is God of War in the US? The US market is notoriously rigid on prices as the big stores dominate the market and generally stick together on pricing. The following God of War pre-order deals are the cheapest we could find though. There's no reason to spend over $60 here as a general rule when you're shopping around.